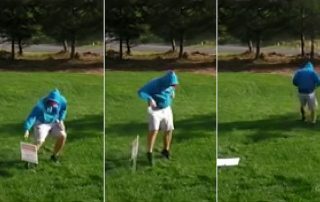 Photo, above: Orlando Trump-hater attempts to steal a Trump yard sign from his neighbor’s yard, only to be shocked by the inhospitality of his neighbor, who not only electrified the sign but also videotaped the attempted theft, then had the would-be thief arrested and charged with trespassing. 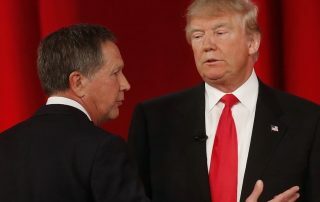 Speaking of career parasites, where has John Kasich been? He’s been gearing up for a potential primary run against President Trump in 2020. Kasich might want to slow down a bit and check out his popularity compared to President Trump’s in his own home state of Ohio first. Not good news for Kasich! 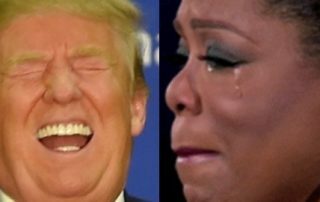 I missed Oprah’s speech at the Golden Globes as I am garbage-intolerant and stay away from sickening displays of Hollyweird narcissism where rooms full of self-proclaimed beautiful people stroke one another for hours, breaking from their mutual adulation only long enough for an occasional slam of President Trump. Oprah is a hapless babe in the woods, who has nary a clue of what is in store. She is a crier, and crying always looks like capitulation. Incumbent Trump will kick her to the political curb. 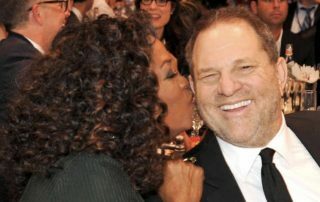 So, yes, by all means, Democrat Party, run Oprah if she is the best you have, which is, in itself, a shame.